While the US government would seem to be the last entity likely to declare Russian military equipment superior to the Made in the USA variety, that changed recently when the Pentagon’s watchdog found that Russian choppers can perform missions in Afghanistan that US-made choppers cannot. The US Defense Department inspector general discerned that Lockheed Martin's Sikorsky Aircraft Black Hawk helicopters "are unable to accommodate some of the larger items the Mi-17 can carry, and in general it takes almost two Black Hawks to carry the load of a single Mi-17." The Mi-17, known under NATO reporting name "Hip," is sold by Rosoboronexport. While the US has been buying new Black Hawk helicopters for the Afghan Air Force, it turns out that some of a helicopter's most pivotal duties — like carrying cargo — are performed better by Russian choppers, the inspector general found in the most recent quarterly assessment, published in May. May was also the first time a "Black Hawk was flown in an Afghanistan operation by the nascent air force," Bloomberg News reported Thursday. "Black Hawks do not have the lift capability" of the Mi-17s, DoD IG General Glenn Fine wrote in the assessment of US activities in Afghanistan. Bloomberg News appears to have been the first to notice the American general pointing out the Russian helicopter's advantages over Lockheed Martin's chopper. 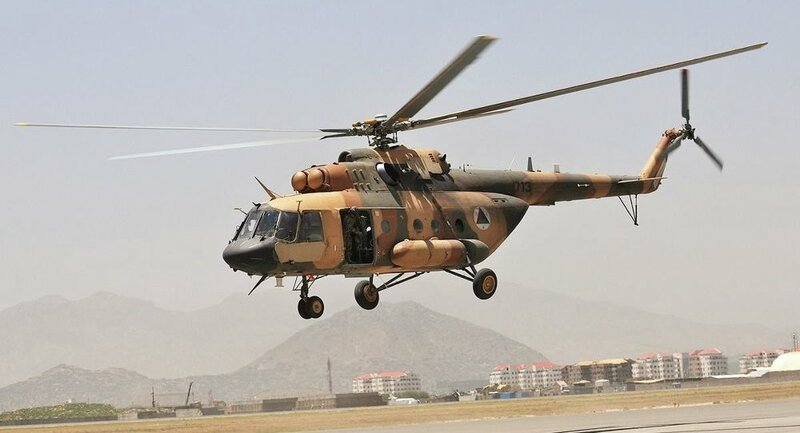 In his assessment, Fine wrote that "unlike the Mi-17, Black Hawks cannot fly at high elevations and, as such, cannot operate in remote regions of Afghanistan where Mi-17s operate." Because of a politically motivated decision to stop buying Mi-17s in 2013, the Defense Department has started buying more Black Hawks, leaving the Russian helicopters to age. As those choppers grow older, the DoD plans to phase out all but 12 Mi-17s by 2022, down from 47 today. But by phasing out the Russian aircraft in favor of the US aircraft, the aforementioned challenges "will become more pronounced," according to the Pentagon's inspector general.